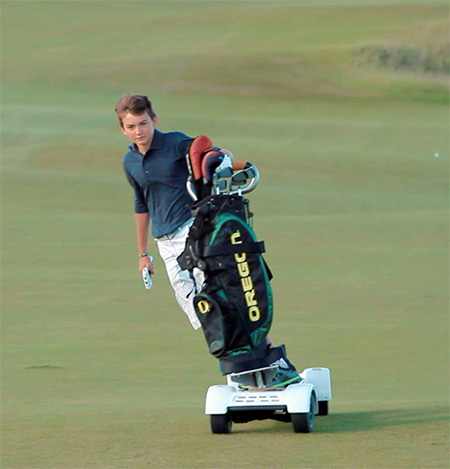 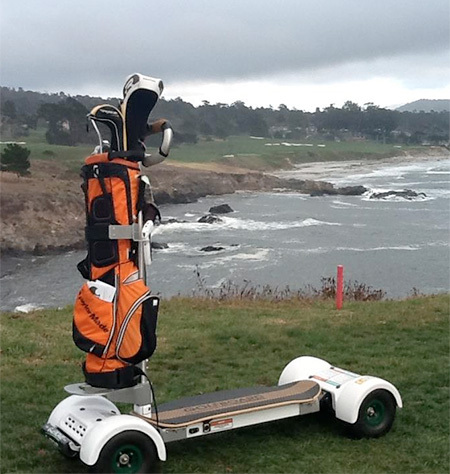 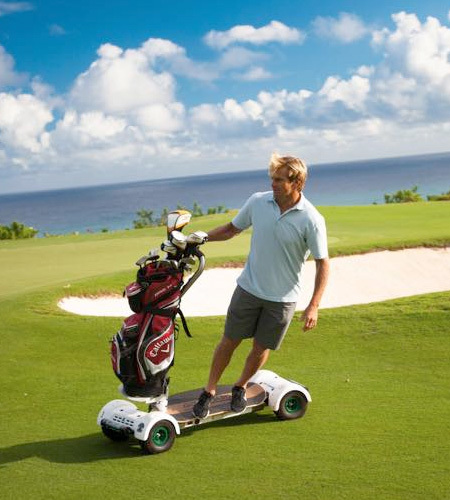 Skateboard inspired electric golf cart allows people to surf the golf course. 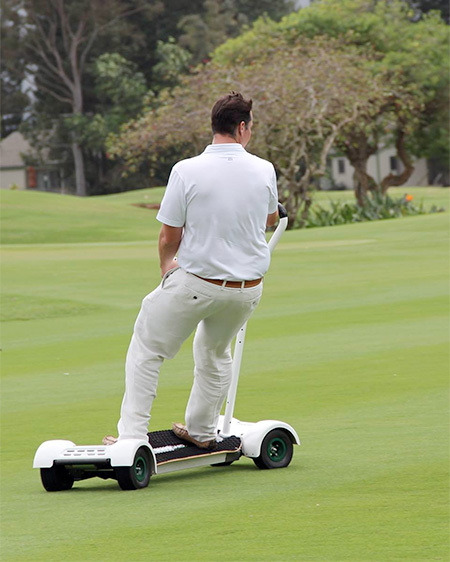 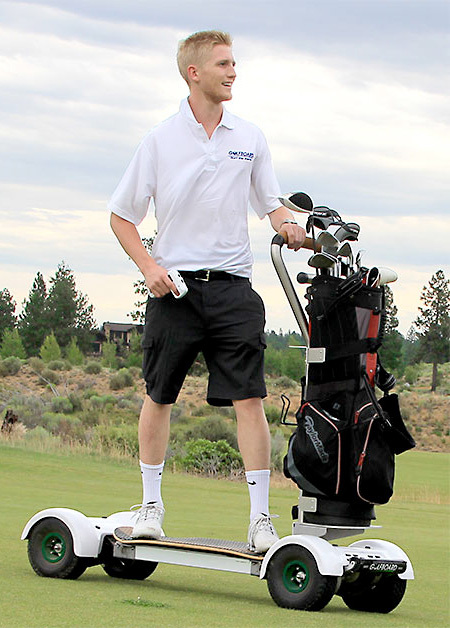 GolfBoard – More fun and less damage to grass than standard golf cart. 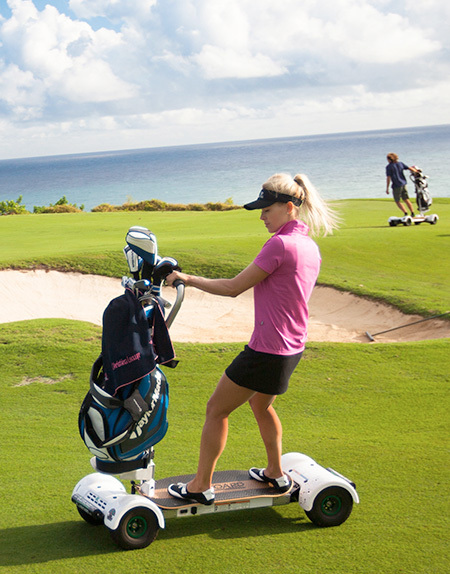 But, where will you put the caddies?